UMTV releases ‘Café Mambo Ibiza Sunsets 2015’ on Friday 7 August on download and stream featuring a diverse line up of artists such as The Cure, Grace Jones, Mary J Blige, Jose Padilla, Gilles Peterson, Carl Craig, Skream, Young Marco, Soul II Soul, Womack & Womack, Velvet Underground, Lamb, Vangelis, and William Orbit. The album is a 43-track album of chillout classics that have been soundtracking the famous sunset on the terraces of one of the world’s most popular sunset destination venues. 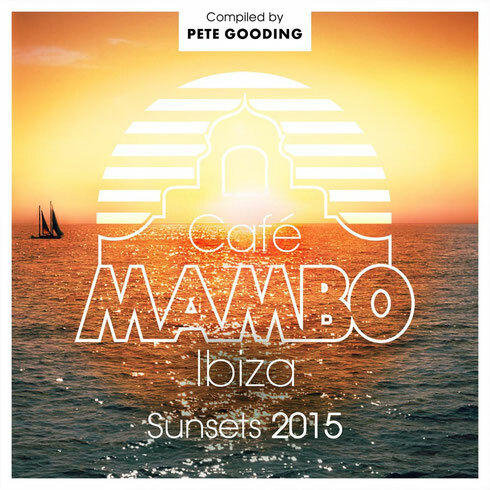 It’s been compiled by Cafe Mambo resident DJ Pete Gooding and feature s a selection of moments that may continue to inspire sunset worshippers the world over. Café Mambo has been hailed as a place to party on the sunset strip in Sant Antoni, Ibiza, since 1994 and hosted its first BBC Radio 1 Weekend the following year. With top DJ line-ups, mixed with food, cocktails and the world famous sunset, it is apparently estimated the outdoor area has hosted as many as 23 million people during its tenure. Some of the star names who have graced the decks at the venue include Pete Tong, Carl Cox, Swedish House Mafia, Solomun, Bob Sinclar, MK, David Guetta, Duke Dumont, Martin Garrix, Hannah Wants, Guy Gerber, Tiesto, Hardwell, Fatboy Slim and Steve Aoki.